The government is announcing three projects to test and promote driverless cars. But will they ever be significantly safer than vehicles driven by humans? And who is responsible if an accident occurs? 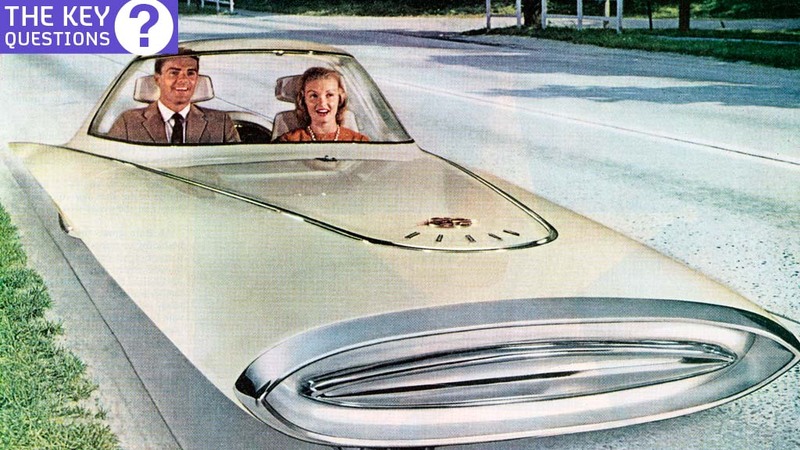 Driverless cars are coming. Within two decades, the chances are that we will be using cars that run autonomously – that is to say, machines which carry us from A to B but which navigate the roads, for either some or all of the time, independently of human intervention. The UK is a world leader in the field, and on 11 February the government is launching three projects which will see trials of driverless cars in Greenwich, Milton Keynes, Coventry and Bristol. For optimists, the prospect of a driver-free road network promises greater road safety, as well as huge savings in time and money. For pessimists, it signifies a further erosion of human individuality in a world controlled by machines. And what happens if the machines go wrong? The principle is easy to understand. The car is trained to drive, using sensors as it moves to build a complete local 3D map, or “point cloud”, of all the surfaces around it (for a visualisation, see below Oxbotica’s YouTube video – featured below). “But above that comes the level of perception: can the vehicle use cameras and lasers to perceive objects that are out in the world? Cars and persons behave quite differently. What are the practical challenges? The sort of autonomous mapping described above, where cars use sensors to effectively create maps as they go along, is the future. By contrast, some of the current driverless car projects rely on already having very accurate maps of their environment. “You’ll read that the cars have driven thousands of miles this year and you think ‘great!” says Professor Jeremy Wyatt, professor of robotics and Birmingham University. “But engineers will have had to go over every inch of those maps with a toothcomb to ensure there’s no crash. Professors Newman and Wyatt predict driverless cars will ensure greater safety for passengers and pedestrians. But road accidents will inevitably continue to happen. So there needs to be absolute clarity about how such vehicles will operate on the road and how driving legislation may need to be modified as a result. Matthew Claxson, a personal injury lawyer with Slater and Gordon specialising in road traffic accident claims, says liability in the event of a driverless car accident is “the 64,000 dollar question”. “The current rules say responsibility is with the driver, the human being at the wheel,” he told Channel 4 News. “With a driverless car, is it the person in the vehicle in the driver’s seat but without exercising control, or is it a failure of the computer to detect a perhaps stationary vehicle in front? Then liability comes back on the manufacturer. “If you’re a victim and you’re injured in a life-changing way by a driverless car, you want certainty about who you seek redress from. You don’t want to be in a position of having to make an inquiry of both the driver and manufacturer. “The other aspect is in terms of criminal law. From a criminal legal perspective, what do you need to drive the vehicle? MOT? Tax? Insurance? How will the police officer approach a vehicle’s owner if he considers it potentially to be committing an offence? “So you have a criminal question in terms of the use of the road, as well as a safety question for those lawfully going about their business — whether a pedestrian, cyclist, mother with a pram, or another road user. What are the benefits of driverless cars? The advantages as applied to autonomous vehicles are the same as for any computer-controlled system: efficiency and reliability. And he cites the issue of access for older people and those with disabilities. “If a relation’s getting older, one of the best things that can happen is to have vehicles with extended mobility. Paul Newman believes there are no inherent disadvantages to driverless cars. “Technology improves us and offers us better things. If it doesn’t, we don’t adopt it,” he told Channel 4 News. But he says the area where work is needed is in understanding the “failure modes” of machines. How can a car know it has entered an area – say, covered in heavy snow – where the process of interpreting its immediate environment has suddenly become more challenging? Because of this, Jeremy Wyatt believes the move to autonomous driving will be a gradual one – in part, to ensure driver and pedestrian safety. “Clearly driverless cars will only be adopted when everyone’s convinced it’s sufficiently safe. So the technical problems are to verify safety. But that depends also on the behaviour of other agents in the environment. “Also, you have to have a clear framework that people can agree on regarding what the car should do in a particular set of circumstances. “The car, while you’re on the motorway, might say ‘I should drive now’ — because statistics say it will be safer and the insurance company will drop your premium. So it’s going to be incremental.